Athletics Ireland and Irish Life Health, Ireland’s newest health insurer today announced Irish Life Health’s sponsorship of Athletics Ireland’s national championships. 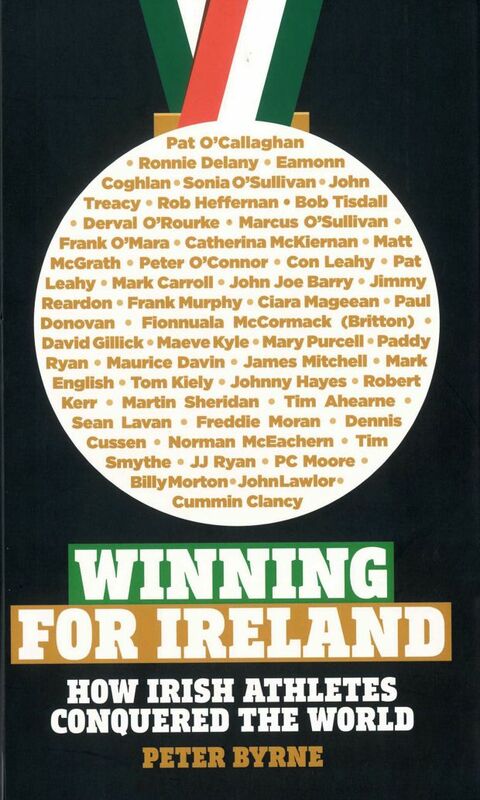 The sponsorship includes sponsorship of Athletics Ireland’s National Juvenile and Senior Championships, Irish Schools Athletic Championships and Athletics Ireland’s Fit4Life programme. Speaking about the sponsorship Jim Dowdall, Managing Director of Irish Life Health said: “Irish Life Health is delighted to be a partner of Athletics Ireland. 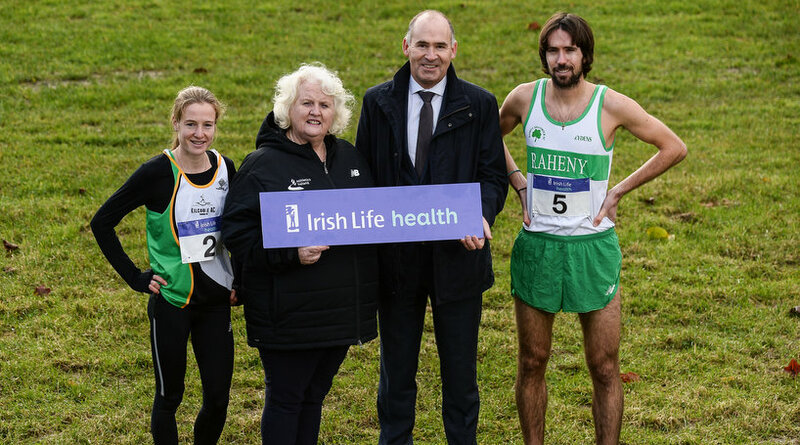 This sponsorship is a strong fit for our Irish Life Health brand and we are delighted that our new partnership starts with the launch of this weekend’s Irish Life Health National Cross Country Championships”. The Irish life Health National Cross Country Championships will be the first focus of this sponsorship and Rio Olympians Fionnuala McCormack (Kilcoole) and Mick Clohisey (Raheny Shamrock) were on hand today to launch the Irish Life Health National Cross Country Championships at the National Cross Country Track at the National Sports Campus on Sunday 27th November. Fionnuala McCormack has been in excellent form this season and won the Autumn Open on the purpose-built cross country course at the National Sports Campus which was the first event on the course. The Wicklow woman, who finished 20th in the Olympic marathon, has won a plethora of national cross country titles along with famously winning the European Cross Country Championships on two occasions. The event will also act as selection for the European Cross Country Championships in Chia, Italy in December and European Club Championships early next year. "I've had a pretty good start to the cross country season so far. I'm hoping we have another good women's team for the European Cross Country Championships in December". Mick Clohisey has been the king of cross country domestically in recent years and he will be looking to defend his national title in National Sports Campus along with bidding to guide Raheny Shamrock to their first Irish Life Health National team title. "I'm looking forward to racing the nationals in the National Sports Campus. It's a good challenging cross country course and competition will be strong with European team places up for grabs." It promises to be an exciting day of racing with over 2,000 juveniles and 700 senior athletes taking part. Individual and team medals will hold pride of place with heavy winter training being put to the test on Sunday November 27th. The winning Junior and Senior, men’s and women’s, club teams will qualify for the European Clubs cross country on February 5th 2017 in Albufeira, Portugal. There are a number of car parks spread out across the National Sports Campus and an overflow carpark is in place at the Blanchardstown IDA Business Park located just a few minutes from the Campus. Walking time from the furthest carpark from the course in the campus is 15 mins. Walking time from the overflow carpark is 20-25 mins. The scoring for Junior Teams will be based on a composite list of finishing positions for all U18’s declared on Junior Teams and Junior runners, please note that the finishing position for Junior Team Scoring may differ from the individual U18 and Junior results. U18’s may not declare individually for both races. Athletes will race according to their correct age category for individual positions in these categories. Numbers: Numbers will be branded to denote Juniors & U23’s. Once you collect your number you should proceed to the “Chip Check” mat close to the start line in order to check that your details are correct. There is no need to recheck your number prior to the start of the race.